Your contractor accountant should be a valuable asset to your business, not only because they can save you time and money, but also because they can advise on legislation affecting your limited company such as IR35 and income shifting. For many, keeping their accounts in order is not something they enjoy spending time doing, so finding a contractor accountant that will make this side of their business as painless as possible is time and money well spent. Hopefully this will be a long term business relationship in addition. Accountancy fees should be a fixed monthly amount, providing a complete accountancy service, covering all the administrative dealings with HMRC, including tax returns, VAT registration & returns, PAYE and end of year accountants. Fees range for each service provider, so compare what you get in each case. Before you speak to any contractor accountants, work out what your business needs. Are there any areas of tax legislation you’ll need guidance on? Any other specific areas of running your limited that you may need assistance with, particularly if you’re just starting out? Will you want to meet with your contractor accountant regularly or will telephone support suffice? As well as doing your own research, there are a number of contractor accountants advertising throughout CUK. We suggest you shortlist a few to compare service levels and costs (what’s included, what’s not) to find the contractor accountant that’s right for your own individual needs. 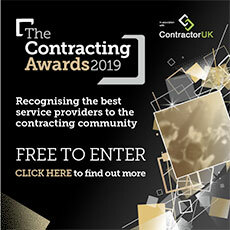 As well as an initial email to find out more about their service, it’s worth putting in a call to the shortlisted favourites to see how quickly and efficiently calls are dealt with. What professional bodies are they regulated by and what qualifications and accreditations do they hold? Are they specialists in the contracting market? How much experience in this market can they demonstrate? What do their services cost? What’s included and what’s not? Are there any ‘extras’ you may have to pay more for? What about self-assessment returns? How and when will you pay your accountancy fees? Who will look after you on a day-to-day basis? How often will they keep in touch with you? What are their average response times (to your queries)? Will you have unlimited support? What other knowledge (e.g. tax saving advice) and services (will they set up a company for you?) to assist your business are provided as part of the fee? The CUK IT contractor forum is an ideal place for seeking the opinions of other contractors, so do ask for personal recommendations, or their experiences of your chosen company (before you sign up) and ask if you can speak directly with an existing client for final reassurance. We also have an article entitled 'Do I really need to pay a contractor accountant?' here. You can also visit our Contractor Accountants Directory for details of freelance accountancy services.